Trastevere area is famous for its bars and restaurants. Undoubtedly, there you will find places with international and local cuisine for a cheaper price than in the historic center. Moreover, you can easily reach all the main areas with most important monuments, squares, and churches by foot. Talking about night life, there are many various bars and shisha places. You can also find speakeasy bars in Trastevere. 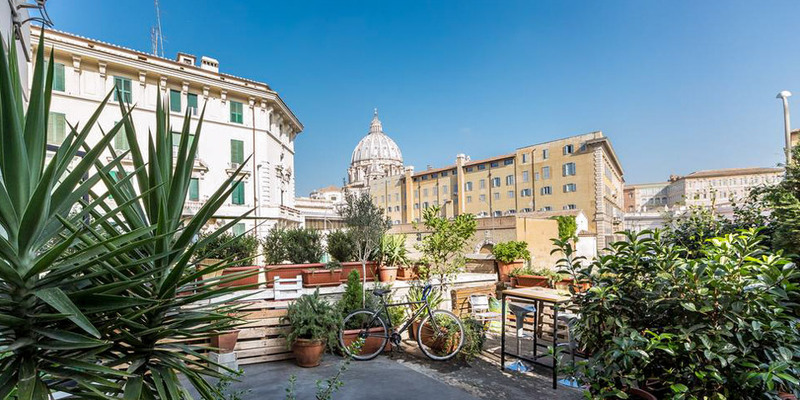 Garibaldi Roof Garden – an apartment near Great Synagogue of Rome and Trastevere district. There is a private parking available. Moreover, this property features the kitchen with a dishwasher,coffee machine, an oven and a microwave, and many other facilities to make your vacation as best as possible. 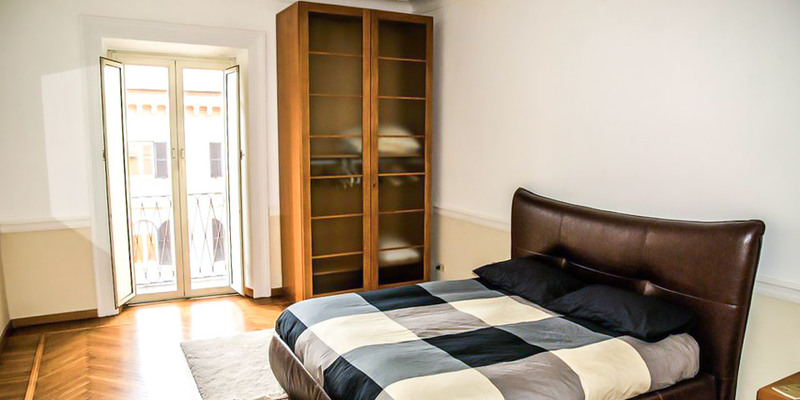 Romantic Trastevere – beautiful apartment with spacious rooms and modern design. Moreover, it has an excellent location, so you can easily reach most of the main Roman sites by foot. 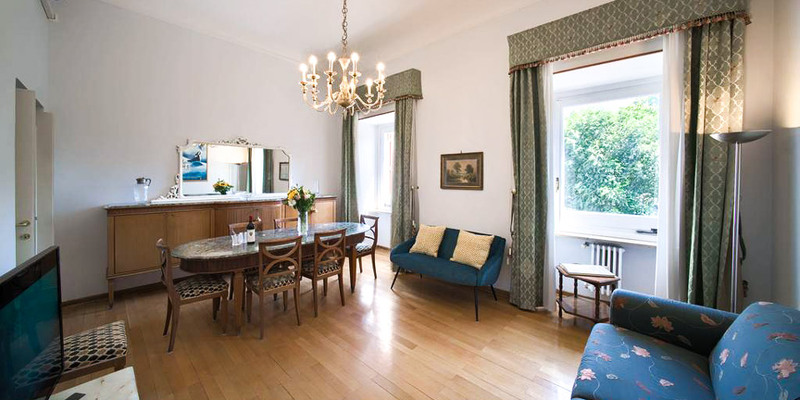 Torre Argentina is 1.1 km from Trastevere Romantic, and Palazzo Venezia is 1.3 km from the property. 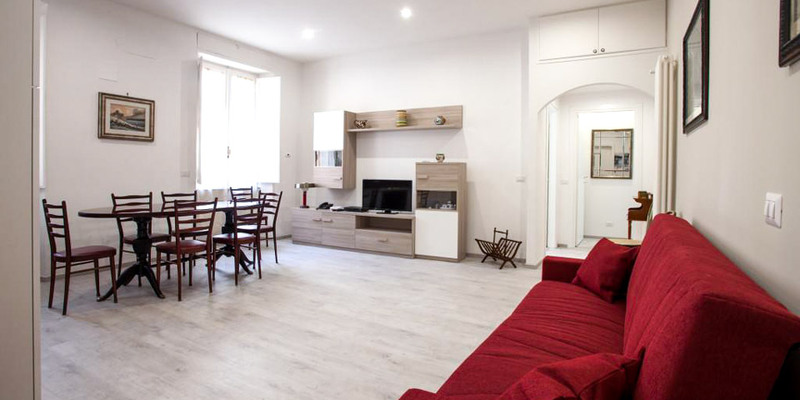 Suite Trastevere – an apartment located 0.5 km from the Great Synagogue of Rome and 0.6 km from Trastevere. This property is extremely beautiful with modern decor and a terrace with a great view. 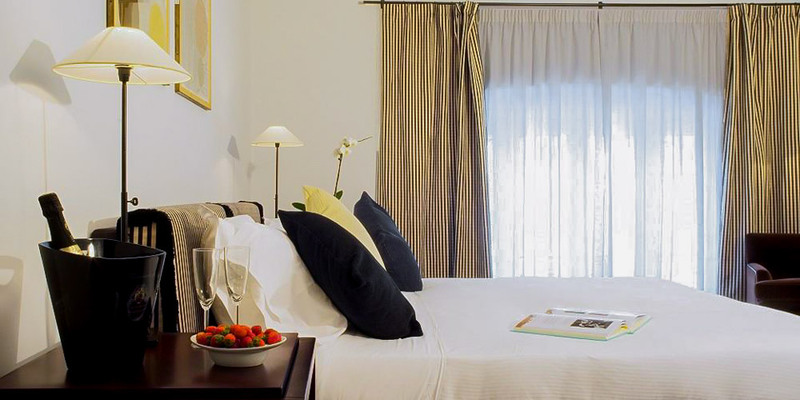 Suite Trastevere would be a wonderful choice for travelers interested in city walks, Italian culture, and food. The area near the Spanish Steps is a central part of the Eternal City. Also, it is considered the most glamorous, tourist-busy, and full of designer boutiques zone. Moreover, there you will find fashionable bars and luxury hotels. 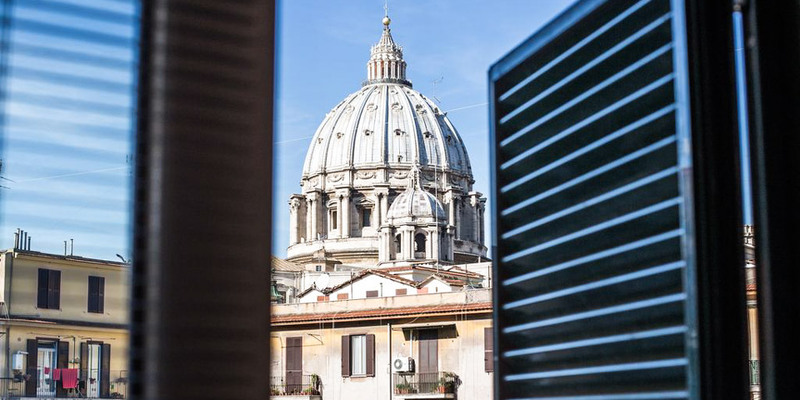 The feature of living in this area is in a walking distance access to Piazza di Spagna, Piazza del Popolo, the Trevi Fountain, and many other important sites of Rome. 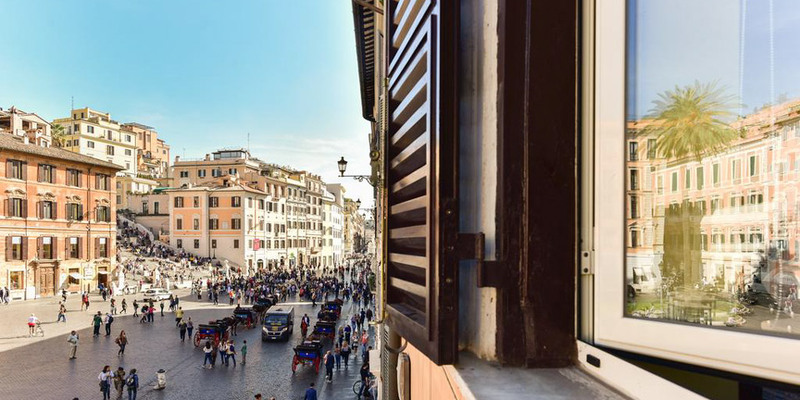 CS Exclusive Apartment Overlooking Spanish Steps –an apartment with amazing views of the city. The rooms are spacious and a bathroom is beautiful. Additionally, famous Via Condotti and Via Margutta are close to the property. Margutta Mews – located on the street where the protagonist of Roman Holiday movie lived! The property features views of the garden and modern spacious rooms. Moreover, Piazza di Spagna is only 222 meters away from Margutta Mews. It would be an excellent choice for travelers interested in shopping because many popular brands located nearby. 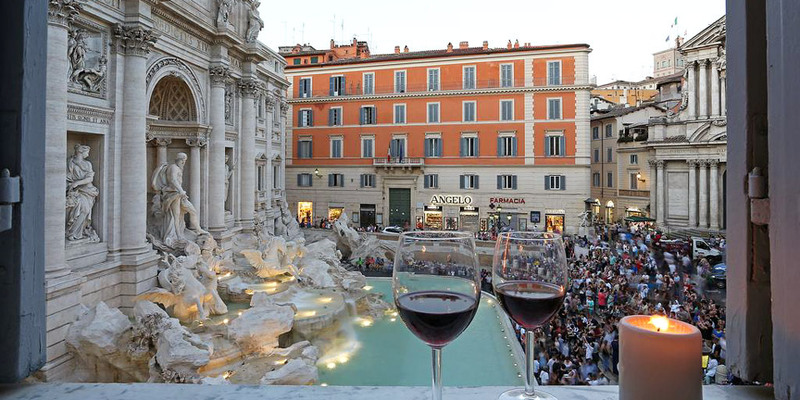 The Trevi Fountain area is characterized by its narrow streets full of tourists, ice cream shops, and restaurants. Undoubtedly, it is noisy during the daytime, but still full of charm. The main feature of staying near the Trevi Fountain is a possibility to enjoy the views of the most beautiful fountain in Italy and perhaps in the whole world. Trevi Ab Aeterno – a luxury property with the views on the Trevi Fountain. It is located near Quirinale Palace, Piazza Venezia, Piazza di Spagna, Piazza Barberini, and Via Condotti. Undoubtedly, this location would be great for your vacation to explore all the main sites of the city by foot. Trevi 86 – an excellent apartment with the spacious kitchen, private bathroom with bathrobes and slippers, a flat-screen TV, an iPod docking station and a laptop. Moreover, the property features views of the garden and is very close to the main sights of the Eternal City. For travelers interested in Italian food and shopping, there are many brand shops and restaurants with local cuisine located nearby. The area near the Pantheon is famous because of its “ancient world” charm, narrow streets, old buildings, local bars and restaurants. Moreover, it is close to Piazza Navona and many other famous squares of Rome. 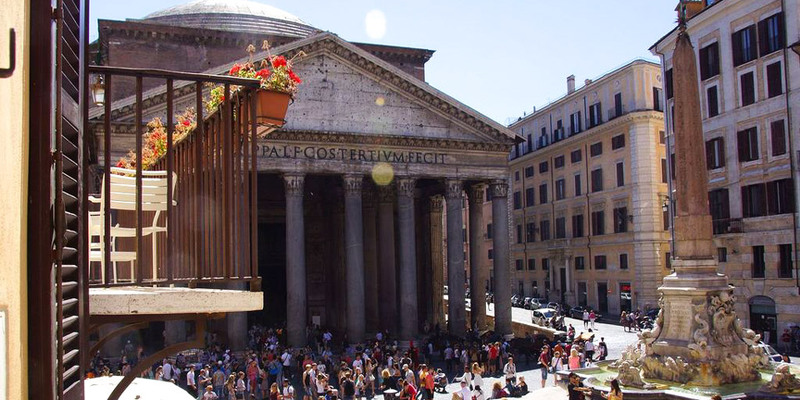 Staying near the Pantheon would be an excellent choice for your vacation because of its location and ambiance. My Pantheon Home – unbelievably beautiful apartment with an amazing view of the Pantheon. Undoubtedly, this is an ideal option for your vacation with all needed facilities and a great location. Additionally, all the main sites of Rome located nearby and shops with popular brands surround this area. 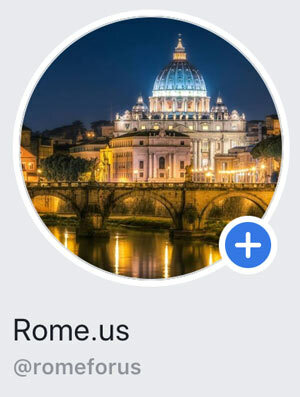 Living near the Vatican would be a good idea because you will be able to explore both Roman and the Vatican’s main sites by foot or using public transport. Moreover, this area is quite safe and quiet. The apartments chosen in this list are beautiful and have an excellent location. Vatican City – Prati is a great choice for travelers interested in museums, art and culture. Paradiso a San Pietro – only 257 meters from The Vatican and 500 meters from Vatican Museums. Moreover, there is a private parking included. The apartment features all the main facilities for your vacation and has very spacious rooms. Vatican Luxury House – very spacious apartment available for a group of up to 8 people with an additional payment of 10 euro per person, if there are more than 4 of you. It has an excellent location, where Vatican Museums, Sant’Agostino and many other sites are in a walking distance. Moreover, there is a beautiful terrace. Heaven – located just 0.3 km from the Vatican and 0.5 km from the Vatican Museums, the property is air conditioned and feature a sitting area. Moreover, towels and bed linen are provided. The apartment is spacious and has an excellent location. Rome’s Jewish Ghetto is one of the most interesting districts, but at the same time, one of the least-known. This area is very convenient because it is easy to access any of the main sites of the Eternal City. Moreover, Jewish Ghetto is a quiet and safe area with a great variety of kosher restaurants and not only. Fortune Temple – has a breathtaking view of Torre Argentina. Moreover, Via del Corso street with popular brands located nearby the property. There are modern and spacious rooms with all facilities for your vacation. Fortune Temple would be a great choice for travelers interested in Italian cuisine, shopping, and history. 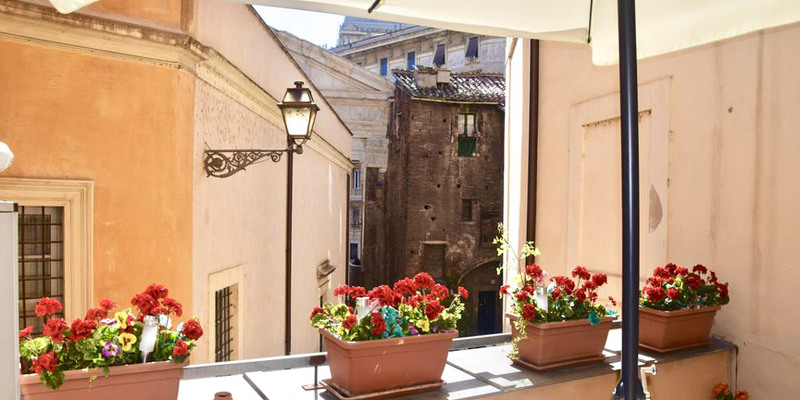 Cuore di Roma – located near the Great Synagogue of Rome and has a lovely terrace. Moreover, Palazzo Venezia, Piazza Venezia, and many other Roman sites are accessible within a walking distance. Cuore di Roma is an excellent choice for travelers interested in Italian food, history, and culture. The Colosseum is the most famous site of Rome. It is located to the south of the central part of the Eternal City and full of narrow beautiful streets with Italian bars and restaurants. Despite the fact that this area is always full of tourists, it could be a nice choice to stay there because of the convenient location and wonderful surroundings. 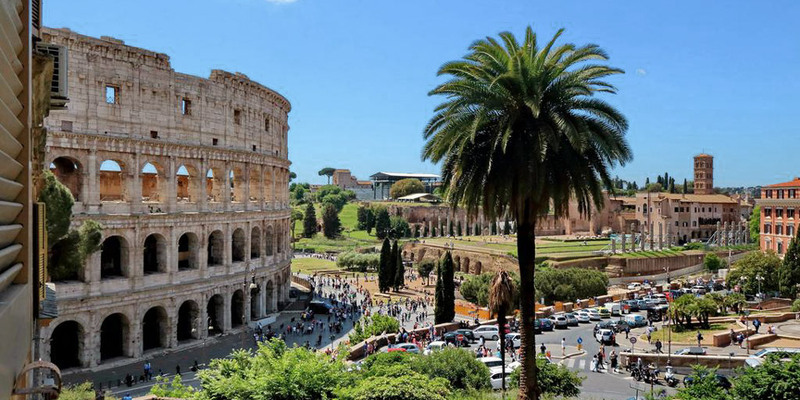 Rome Unique Colosseum View Apartment – offers an amazing view of the Colosseum. Also, there is a sitting and dining areas, a kitchen, and spacious rooms with all facilities. Roman Forum is only 0.5 km away and Domus Aurea is in 0.6 km from the property. 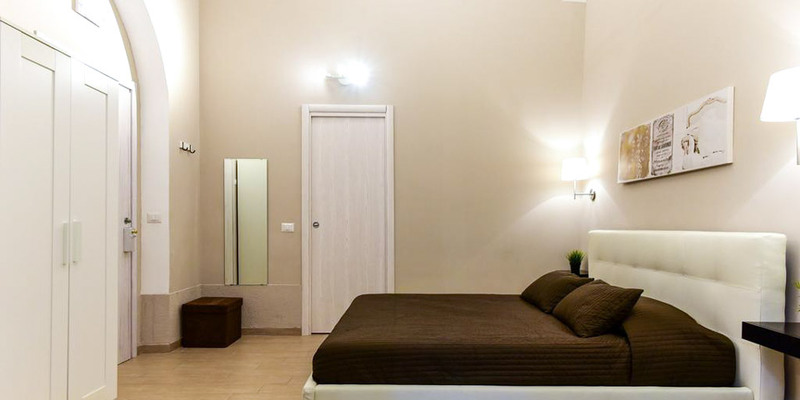 Undoubtedly, this apartment is a great choice for travelers interested in roman ruins, Italian cuisine, and sightseeing. Romance al Colosseo – an apartment available for up to 6 guests. 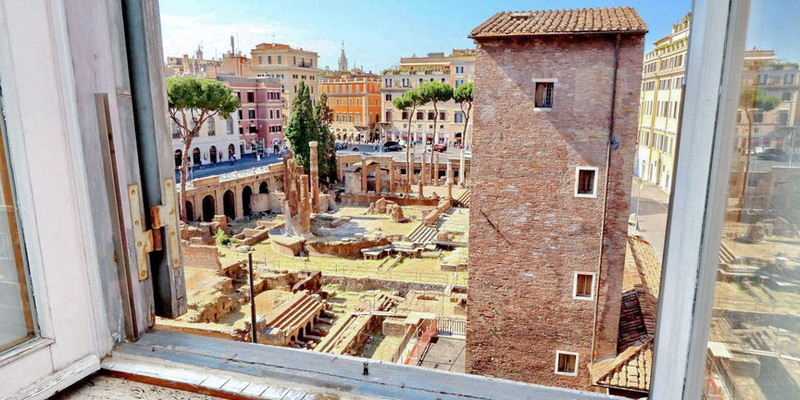 It features views of the city and is very close to Domus Aurea and Roman Forum. Moreover, bike and car rental are available at the property and this area is popular for biking. There are spacious rooms with all facilities for your vacation. 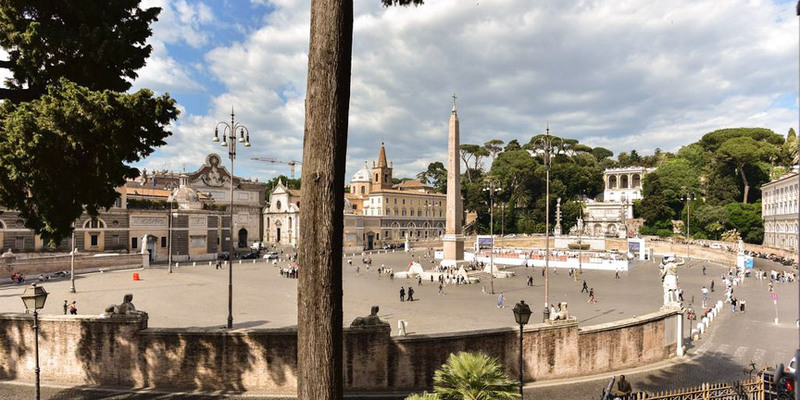 Living on Piazza Venezia is a wonderful choice because of the views of one of the most beautiful squares in Rome. Moreover, it is well-connected with public transport and you can also reach all the main sites by foot. There are many shops with popular brands and narrow streets where you can take beautiful photos. However, the most expensive restaurants also located in this area because it is always full of tourists. For the best experience with Italian cuisine for an inexpensive price I recommend you to visit the Trastevere district, which is 15 minutes away within a walking distance. 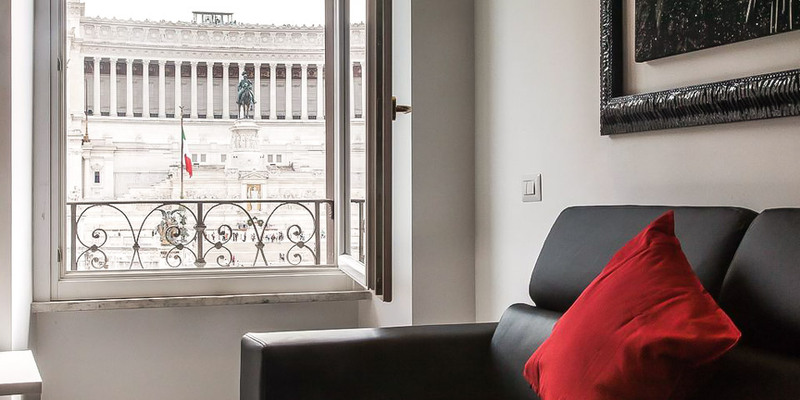 Amazing Vittoriano – the property with a breathtaking view of Piazza Venezia. Moreover, it has a modern design and spacious bright rooms. There are all facilities for your vacation. Amazing Vittoriano is a great choice for travelers interested in shopping, roman culture, and history. Villa Borghese is one of the most famous sites in Rome. It has a convenient location and you can reach all the main sites of the city within a walking distance. There are many fashionable bars and restaurants in this area, but with high prices. For lovers of shopping, Via del Corso street with popular brands located nearby. 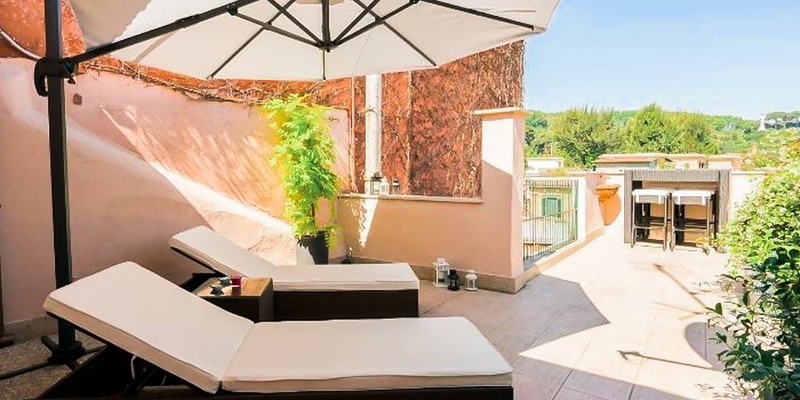 Prince’s Suite Popolo View – located right near Piazza del Popolo, Piazza di Spagna, Via Condotti, and Via Margutta, the property offers views of the city. Moreover, there are beautiful and spacious rooms with all facilities. This apartment is a great choice for travelers interested in shopping, Italian cuisine, and city walks. 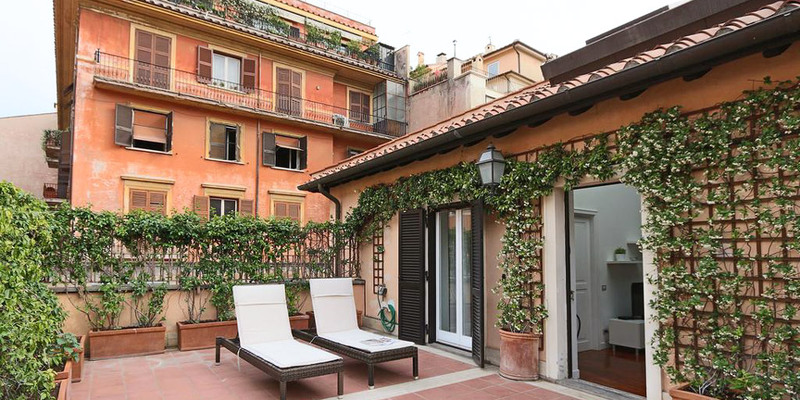 Piazzetta Margutta – located in a historic building with a private courtyard right near Piazza di Spagna. 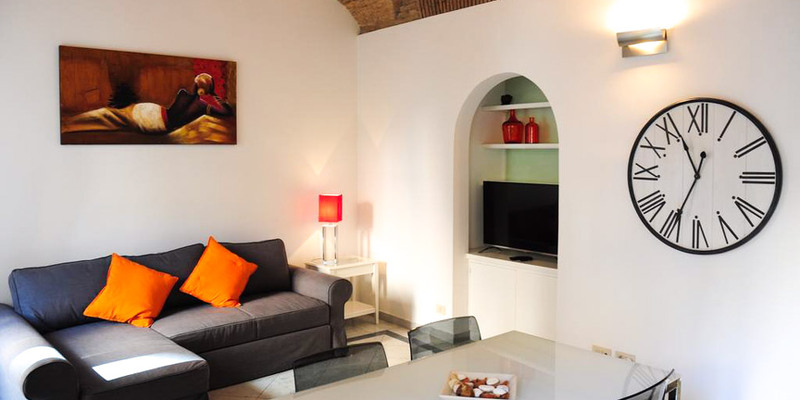 The luxurious apartments at Piazzetta Margutta are spacious with minimalist decor and white modern furnishings. Moreover, there is the Babette restaurant in the courtyard. 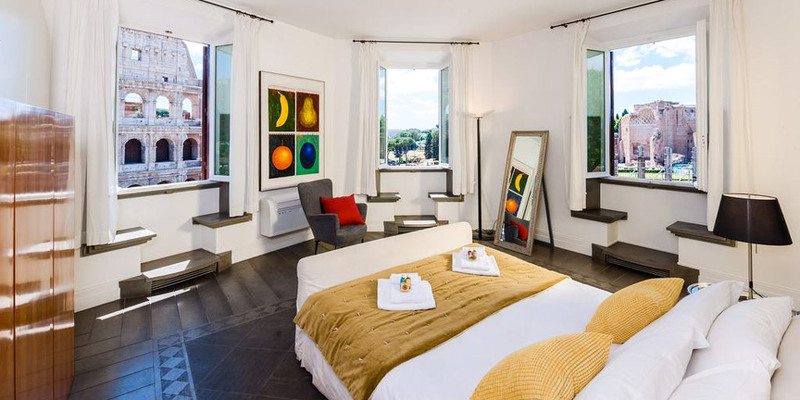 Rome Unique Popolo Villa Borghese View – located near Piazza del Popolo, Via Ma Margutta, and Piazza di Sppagna, the property offers views of the city. There are three bedrooms which are spacious and include all facilities. This apartment would be an excellent choice for travelers interested in shopping, city walks, and Italian culture. Living near Termini Station is a wonderful option if you are going to stay in the Italian capital for a couple of days or have a limited budget. First of all, it is very convenient to reach any point of the city from Roma Termini by public transport. Secondly, this area would be a good choice if you plan to travel to other cities of Italy. Additionally, this is not the most beautiful neighborhood of the city, but still quiet and full of restaurants with local or international cuisine. Piano Zero Apartment – located near Roma Termini and Santa Maria Maggiore, the property offers spacious rooms with a sitting area and all facilities for your vacation. Moreover, the biggest European university La Sapienza and Piazza Barberini are within a walking distance. Central Station is a great choice for travelers interested in history, architecture and sightseeing. Attico Santa Maria Maggiore – an apartment with private parking and all facilities for your vacation. There is a private bathroom with a bathtub or shower. Moreover, Domus Aurea and Quirinale Palace are within a walking distance from the property. 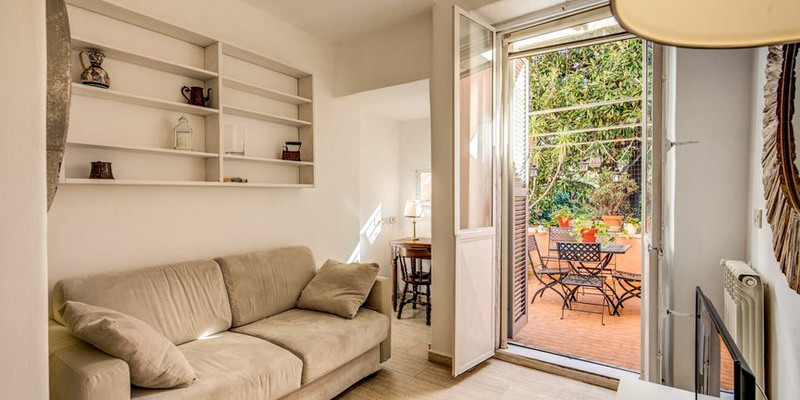 Finally, renting an apartment in Rome is a quite popular option because there is a wide selection of beautiful properties located near the main sites of the city for a cheaper price. Moreover, most of the apartments have stunning views on the monuments or squares and include all facilities to make your vacation better. Don’t forget that the best time to visit the Eternal City is from April to October or during winter holidays. However, these months are also more expensive in terms of prices for the accommodations.